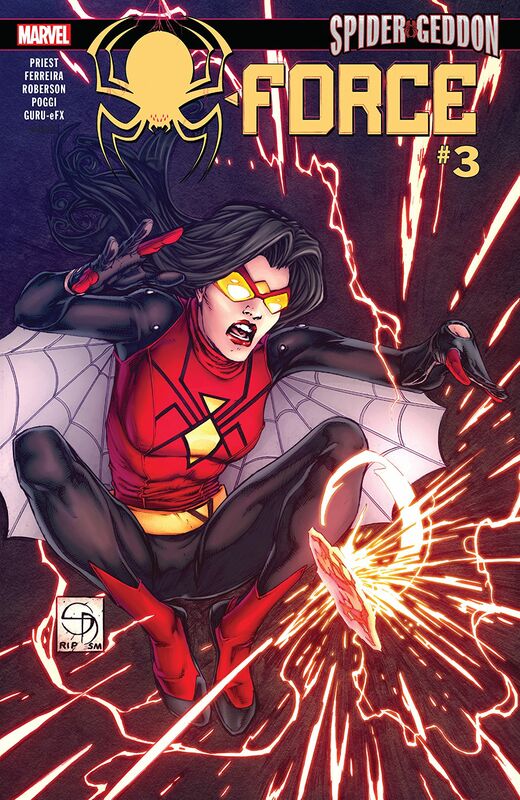 Marvel Preview: Spider-Force #3 – AiPT! Spider-Force is falling, one member at a time. A SPIDER-GEDDON TIE-IN! Spider-Force is falling, one member at a time. The Inheritor Verna will stop at nothing to get the Solus Crystal to bring her father back to life–and killing all of Spider-Force would be icing on the cake. Will Jessica sacrifice everything to save the Multiverse?